Footage captured by the Marine Conservation Program has revealed an albatross chick’s curious nesting habits. The time-lapse recording, taken by remote camera, monitors the wandering albatross population on Macquarie Island, where only five chicks have hatched this year. The video shows a young wandering albatross chick collecting and sorting vegetation and mud to build its nest. Dr Eric Woehler from Birdlife Tasmania said the chick is practising building a nest for when it begins breeding. “The chick essentially has a lot of its behaviour pre-learned and hardwired into the brain,” he said. He said while the behaviour was normal, public interest in the video was a good thing for conservation. 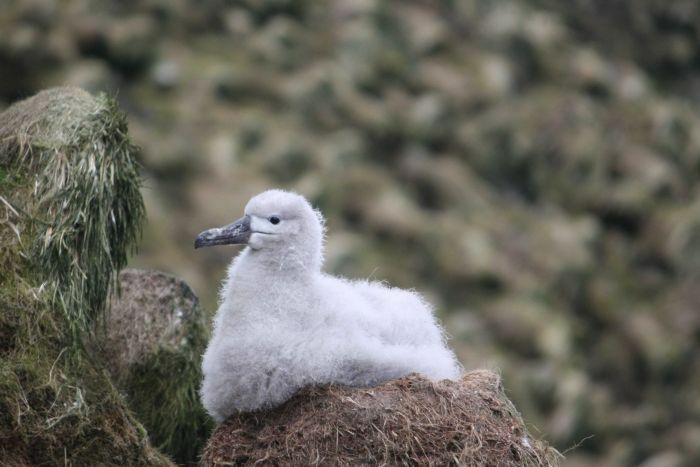 “The population of wandering albatrosses at the moment, which I understand to be five active nests, is down on what it has been in the past,” he said. “It’s wonderful that Parks and Wildlife have released the video, and the fact it shows the bird over a number of days in good weather and bad doing what it’s doing, you have high hopes that it will be a successful breeder one day. “Australia has a responsibility to protect the wildlife that we have on our islands. Dr Woehler said the numbers of wandering albatrosses had been greater on the island, with historical data suggesting it was home to as many as 15 to 20 breeding pairs about 40 years ago. 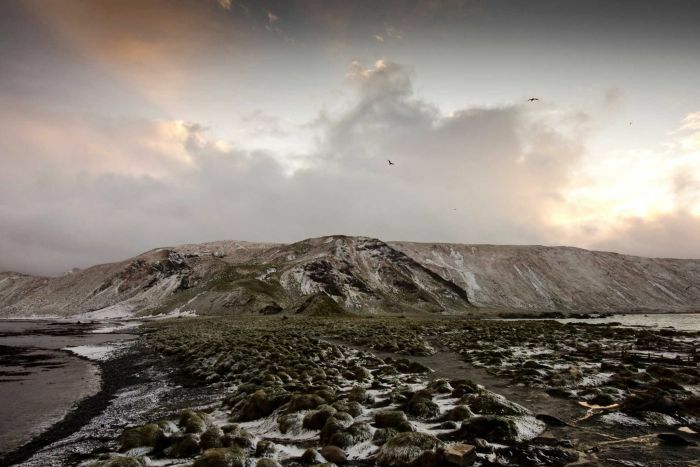 Macquarie Island is listed as a UNESCO World Heritage Site, and the birds’ breeding habitat is protected, but it’s their feeding grounds that remain dangerous. Dr Woehler said that the main threat facing the Wandering Albatross and other albatross species is longline fishing in the Southern Ocean. 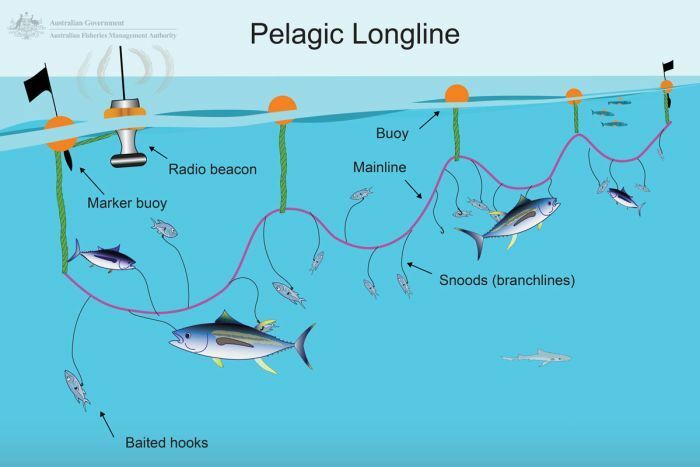 This fishing practice sees baited hooks attached to the mainline, which can carry thousands of hooks over many kilometres. Albatross can get caught as bycatch on the hooks or in the lines when diving for food and drown. “The real threat to these birds is away from Macquarie Island, on the high seas where we still have the illegal, unregulated and unreported longlining occurring,” Dr Woehler said. The Parks and Wildlife Service is monitoring the birds to ensure the remaining wandering albatross population and their nesting habitats are protected.